From Rachel Koko who blogs at Filled With Charity, we get the following powerful and personal witness of the Atonement of the Savior and our current and ultimate need for Him. Thank you, Rachel! the most powerful testimony I can bear, is of the atoning sacrifice of the Lord Jesus Christ." "Book of Mormon prophets teach us that the Atonement was part of the plan of salvation that God had for each of us his children. In Alma 34:9 Amulek teaches: "For it is expedient that an atonement should be made; for according to the great plan of the Eternal God there must be an atonement made, or else all mankind must unavoidably perish; yea, all are hardened; yea, all are fallen and are lost, and must perish except it be through the atonement which it is expedient should be made." "I was a young teenager when I heard Elder Bruce R. McConkie bear testimony of the Savior that April General Conference in 1985. 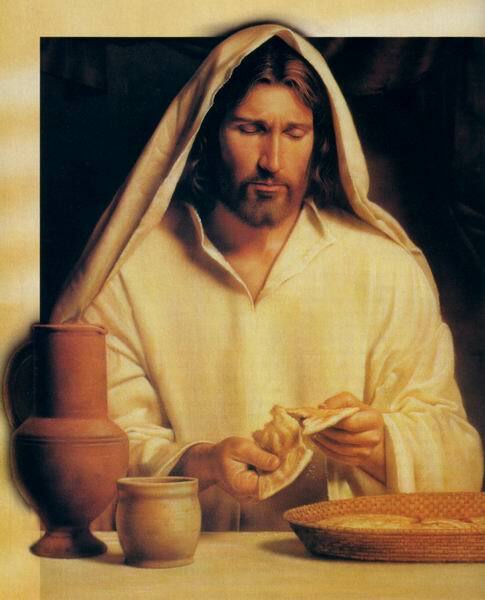 I was impressed by the relationship Elder McConkie had with his Savior, Jesus Christ. I knew even at that young age, that I wanted my relationship with my Savior to be that personal and intimate. "And now, as pertaining to this perfect atonement, wrought by the shedding of the blood of God—I testify that it took place in Gethsemane and at Golgotha, and as pertaining to Jesus Christ, I testify that he is the Son of the Living God and was crucified for the sins of the world. He is our Lord, our God, and our King. This I know of myself independent of any other person. I am one of his witnesses, and in a coming day I shall feel the nail marks in his hands and in his feet and shall wet his feet with my tears. But I shall not know any better then than I know now that he is God’s Almighty Son, that he is our Savior and Redeemer, and that salvation comes in and through his atoning blood and in no other way." Read Rachel's full article "I Know that My Redeemer Lives". "There is no other way nor means whereby man can be saved, only through the atoning blood of Jesus Christ, who shall come; yea, remember that he cometh to redeem the world."